Here are the marketplace products & services highlighted in the latest issue. Please feel free to share these on the social media sites. 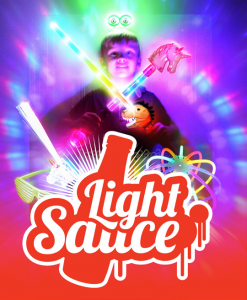 Light Sauce is the leading importer and distributor of Light Up, Flashing LED and Glow Novelties in the UK. Trade suppliers for over 15 years to family attractions, holiday parks, theatres, local government, schools and charities. Light Sauce specialises in the volume supply of light up toys to order but with large UK based stocks and a wide choice of products we can deliver next day throughout the UK (2-3 days european delivery). We offer retail ready products, bespoke packaging and branding and point of sale. Request a hard copy of our catalogue today. www.myholidaycaravan.co.uk is the largest independent static caravan sales website and can ensure your park is found, by potential buyers searching online. We now receive up to 100,000 visitors per month who are looking to purchase a static caravan holiday home making our website the ideal place to advertise. This this is why the leading park operators choose us. We are confident that a park listing will work for you we are offering a Free no obligation 30-day trial. 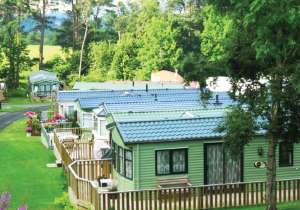 As a caravan park insurance specialist, Wilby currently arrange insurance for more than 100 parks across the UK, from the North of Scotland to the South coast of England. Our caravan park insurance aims to cover most risks and contingencies you may face as the owner of a holiday or caravan park business. With detailed knowledge of the holiday and caravan park industry and related insurance risks, we can offer more than just insurance. We have our own team of risk management consultants who can help you to put procedures in place to limit the risks your park faces and therefore potentially reduce the likelihood of claims. 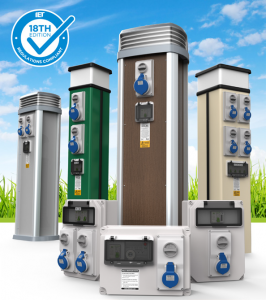 Rolec, specialists in the design, manufacture, supply and installation of caravan hook-ups, have confirmed their new 2019 range is fully IET 18th Edition Wiring Regulations compliant. 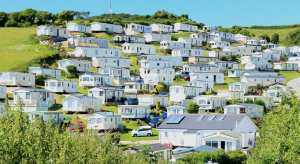 New interlock socket regulations for caravan sites came into force on 1st January, 2019. As a result, Rolec have changed the electrical sockets on its hook-up units to interlock versions. 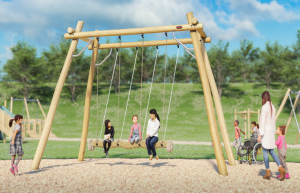 The unique design and large play value of the CocoWave Pendulum swing means it can fit into any environment, be it a town park, a school playground, campsite or housing development. The swing can be stand-alone or be part of a solution with other swings or, combined with stepping pods leading up to the swing to provide a balancing solution. World of Rides have been delighted by the response to their brand-new range of… ‘Parent & Child’, or twin seat for eight to 80 years old kids and kidsat- heart… 24v battery operated soft-impact ‘Laser Battle’ Bumper Cars to the U.K. leisure and holiday park industries. 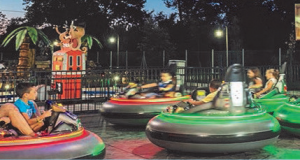 Their ‘Laser Battle’ Bumper Cars allow riders to use their lasers to hit the targets on the sides and back of the other cars, which are then forced to ‘Stop & Spin’ before being allowed to move forward again and rejoin the battle with the other players. The cars are all remotely operated by a wrist-strap STOP/START controller, so that all the riders do so in complete safety, by ensuring that one or all cars can be instantly stopped or restarted whenever required. There are changes afoot in the holiday park insurance market. The Appointed Representative (AR) status is coming under increased scrutiny from the Financial Conduct Authority. Parks are increasingly switching to an Introducer Appointed Representative (IAR) model, reducing their compliance and insurance workload. 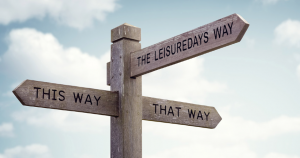 Leisuredays are IAR experts, specialising in admin-free customer insurance arrangements. Let our expert team of 120 people serve your customers seven days a week, giving them Defaqto 5 Star rated cover, competitive prices, and award winning customer care. We’ll maximise take up rates and your insurance profits. For specifiers and installers, helping an off-grid user select a low NOx energy efficient water heater is critical — and a condensing continuous flow water heater using LPG is one of the most efficient and environmentally friendly options available. By choosing a continuous flow water heater instead of a standard electric water heater, an end user can reduce energy costs by up to 50% and reduce greenhouse gas emissions by up to 61%. When compared with oil-fired systems this saving is even greater. An LPG continuous flow water heater is an ‘on-demand’ system. When a hot-water tap is opened, the unit reads the demand and starts the heating process. The water flows through a heat exchanger, where it heats to the desired temperature using only as much gas as is needed. When the tap is turned off, the heater automatically shuts off. 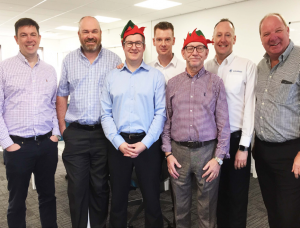 In 2018, Binnacle was appointed by the British Holiday and Home Parks Association (BH&HPA) as the new scheme provider for Compass. Compass has over 40 years’ experience in the provision of bespoke insurance products and services to the parks industry. The Compass team is equipped and excited to deliver improved product provision, business-wide innovations and first-rate customer service. Ever-ambitious for growth and evolution, Compass remains committed to its core values – support, reliability, expertise, trust, knowledge and integrity. Be assured. The same Compass team is here and ready to help you! The award-winning SaniStreamTM Direct Line Filtration system is a high quality Darlly hot tub filter, combined with an adjustable and refillable chlorine or bromine tablet erosion feeder, called SpaPodTM, to make a highly effective combined, integrated hot tub water treatment system. 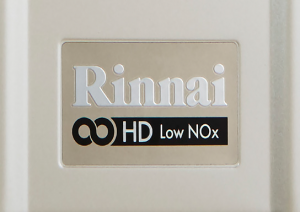 The SaniStreamTM system offers a solution to Section 76 of health and safety guidelines, HSG282, which states that hot tubs used ‘... as part of a business activity (eg in a holiday park rental unit...)’ must be ‘disinfected using bromine or chlorine through the use of an inline disinfectant feeder’.